Times like these call for radical ideas. But is being a radical a positive thing? And if so, why are so many radicals seen as dangerous? In the first episode of the new season of Inflection Point: RADICALS, we’ll define what it really means to be a radical, look at some of the lasting change radicals have made throughout our history, and examine how those ideas went from unthinkable to mainstream. 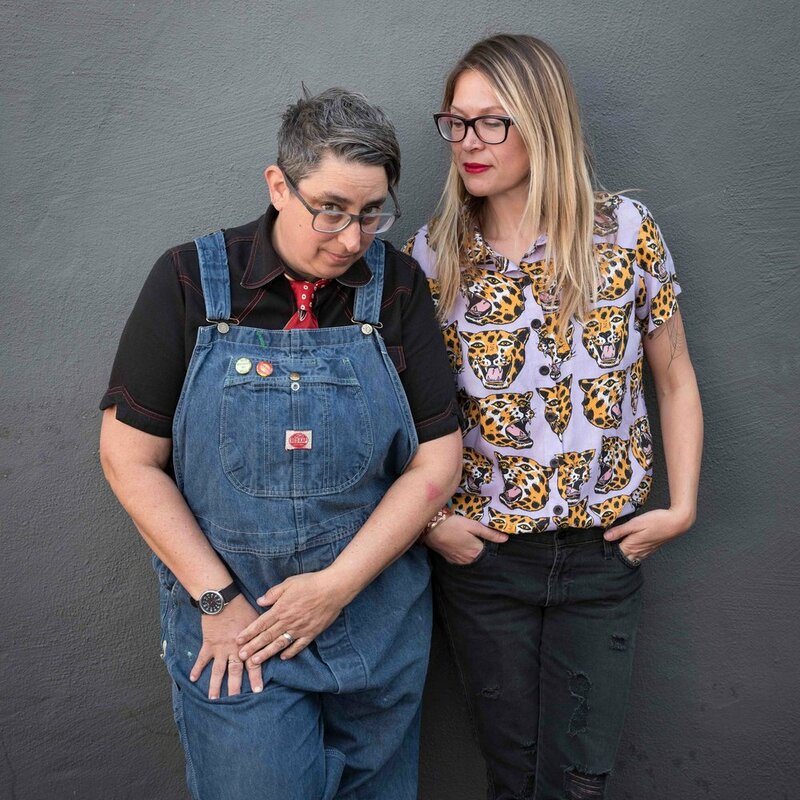 I invited RAD WOMEN series’ creators Kate Schatz and Miriam Klein Stahl to talk about how to spot a radical, because if anyone knows what a radical looks like and what it takes to be one, it’s them. Support the production of Inflection Point with a monthly or one-time contribution! This season I’m introducing you to the radical geniuses who are reshaping the systems as we know them. But according to today’s guest, we can all be radical geniuses by embracing a mindset of flexibility and resilience. Katie Goodman is a professional improviser and a comedian. 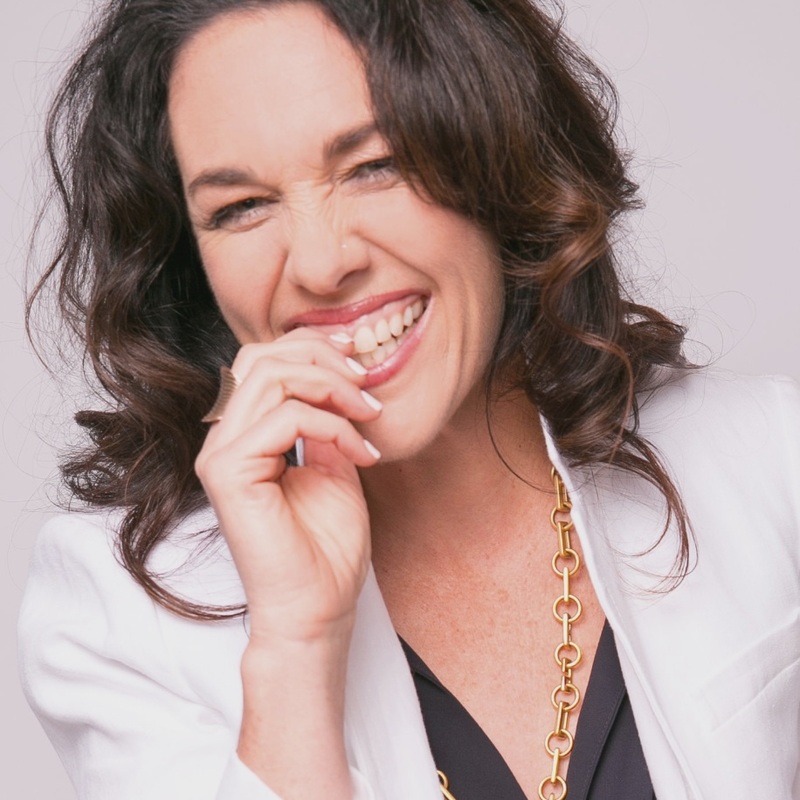 Over the last twenty years her team has taught about 10,000 people from individuals to corporate groups how to use the tools of improv comedy in everyday life. Today, we’ll talk about how the powers of imagination, collaboration and “yes, and” can give us a new way of responding to problems the world throws at us. Find Katie Goodman’s 8 Tools of Improv and her podcast, “The Improvised Life with Katie Goodman” here. As we finish up the first month of 2019 and embark upon the rest of what will no doubt be a tumultuous year, let’s hear some words of wisdom from a couple previous guests on how to be more intersectional in our feminism and what small, radical acts women and men can take to accelerate change. I’m revisiting advice that will give us hope and motivation to make 2019 the year of Radical Solidarity in our march toward our goal of equality, while I work on my next season for you. And when you’re done, come on over to The Inflection Point Society, our Facebook group of everyday activists who seek to make extraordinary change through small, daily actions. Hear more from Ijeoma Oluo and Sabaah Folayan who are featured in the episode. Subscribe to the “Inflection Point” podcast to get more stories of how women rise up right in your feed on Apple Podcasts, RadioPublic, Stitcher and NPROne. Support Inflection Point with a monthly or one-time contribution here. Now and then a “girl power” book pops up that is truly inspiring and, better yet, timely. And even better, written by an actual feminist, parent, and educator who wants to use her books to incite change by creating role models our daughters and sons can relate to. Sounds pretty rad right? That’s actually the name of a book series...”Rad Women”...”Rad Women A to Z”; “Rad Women Worldwide”, and now, Kate Schatz and her co-author/illustrator the rad Miriam Klein Stahl are out with a third book called “Rad Girls Can.” I talked with Kate and Miriam at a benefit for children's literacy hosted by Reading Partners, an organization that mobilizes communities across the Bay Area to help students read at grade level by fourth grade. Join me for a special on-stage discussion with the authors of RAD Girls Can, Miriam Klein Stahl and Kate Schatz. The book is available now. If you want to help elementary schools with one-on-one reading support, consider becoming a volunteer or donating to Reading Partners, a national nonprofit that helps students with the one-on-one tutoring they need to read at grade level by fourth grade. Lauren Schiller: From KALW and PRX, this is Inflection Point, stories of how women rise up. I'm Lauren Schiller. Lauren Schiller: A woman walked into my studio two years ago wearing a t-shirt emblazoned with the word feminist on it. Cool, right? That may not even seem unexpected for this show, but actually this woman was the first and only of my guests to own that title on a shirt in my studio, and it was right before the election of 2016 when we thought we'd see the first woman president. Why did she feel the need to tell everyone she's a feminist? Kate Schatz: It's incredibly important for me to proclaim that and I do it publicly with t-shirts and buttons and Facebook headers all the time because not enough people do that. I want people to see this t-shirt and either smile at me and nod and say, "Right on," and, "I like your shirt," but I also welcome people to question me if they're ... if they don't quite get it, if they don't understand it. Feminism is misunderstood. It's much maligned and I'm happy to speak on it and speak about it at any time when anybody wants me to, and placing it in a public visible context is a big part of that. Lauren Schiller: Back then, only two years ago, I wouldn't have been able to wear that t-shirt. I of course was, and am, a feminist, but I wasn't ready to wear it on a shirt. I wasn't sure why I was so impressed by her shirt. I think we were still unsure as a culture whether it was socially acceptable to proclaim that you were a feminist, even if you held feminist values. So I asked, "So what is your definition of being a feminist?" Lauren Schiller: Got to ask. Kate Schatz: A feminist is someone who believes in the equality of all genders. What I always add to that is it's also someone who believes in the equality of all genders and who also recognizes the utter inequality that exists currently, and has historically, all around the world and who believes that that needs to change. Lauren Schiller: So who was this out feminist and what was she going to do to create change? Well, her name is Kate Schatz and she co-founded a group called Suffragette Sundays, now Solidarity Sundays, to bring people together in person, beyond the online petitions to make phone calls and send emails and go to swing states to act when something's not right. Kate Schatz: We felt like people were so tired of Facebook activism, clicking on a petition or just sharing a link and we felt ... we were sensing a lot of isolated anxiety from people as they watched more and more gun massacres and violence against women, and all of these things happen. As we saw the rise of a certain political candidate. 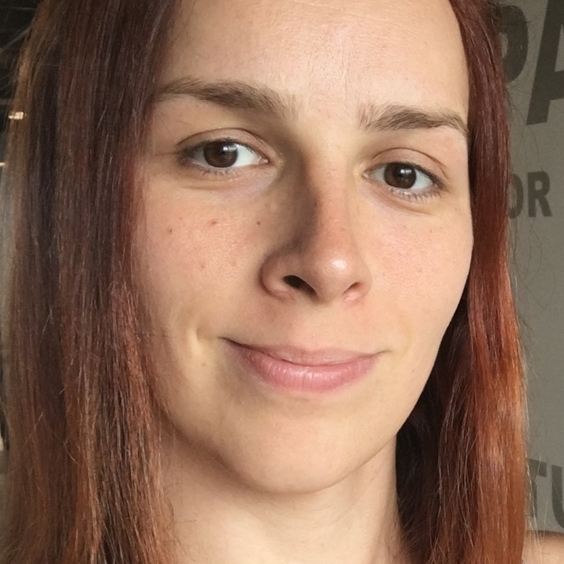 Lauren Schiller: Yes, so Solidarity Sundays is still going strong since it seems like every week brings a new call for, well, solidarity against the dark forces of far-right lunacy. And Kate does other things too. Kate Schatz: Now I write feminist children's books. Lauren Schiller: I know, I know you can't walk into a bookstore these days without being confronted with an onslaught of books empowering girls. You could almost get cynical about it. Is someone trying to make money off of girl power? Probably. Are they just revisiting the same old, same old women we always hear about? Likely, but now and then a book pops up that is truly inspiring and, better yet, timely, and even better written by an actual feminist, parent, and educator who wants to use her books to incite change by creating role models our daughters and sons can relate to. She sounds Pretty Rad, right? That's actually the name of her book series, Rad Women, Rad Women A to Z, Rad Women Worldwide and this July, Kate Schatz and her co author, the Rad Miriam Klein Stahl, who's the co-founder of the arts and humanities program at Berkeley High School, are out with a third book called Rad Girls Can. Because as rad as those other books were, they all featured mostly adults. Lauren Schiller: This book is all girl. I was able to talk with Kate and Miriam at a benefit for children's literacy hosted by Reading Partners, an organization that mobilizes communities across the Bay area to help students read at grade level by fourth grade. I was blown away to find out that nationwide only 35% of incoming fourth graders can read at grade level proficiency or above. Without these skills by fourth grade, students are four times more likely to drop out of high school. Lauren Schiller: I want to talk with you about how we inspire a lifelong love of reading and what's great to talk with you both about it is because you come at it from multiple perspectives. You are parents, you are educators. Lauren Schiller: And you are published authors. Miriam K Stahl: All of those things. Lauren Schiller: Yes. So let's just start with something super easy, which is when you were growing up, this is for each of you. We'll start with Kate. What was the book that inspired you or rocked your world as a kid? Miriam K Stahl: That's not an easy question. Kate Schatz: It's not an easy question, but the book, when I was ... So I'll first say that I was when I was very, very young, before kindergarten, my mom worked in a children's bookstore. I grew up in San Jose and if anybody's familiar with [Hicklebees 00:05:40], it's an incredible independent children's bookstore and that's where she worked part time, and she would take me to work with her and instead of ... I don't know, it was the '70s, so it was like fine to just bring your kid. She would put me in this in the corner kind of. Kate Schatz: There was this old clawfoot bathtub full of pillows and ... it's a very quirky store ... and she'd put me in this old bathtub of pillows and give me a stack of books and then she would go work the register and sell children's books. That's where I taught myself to read and I have so many memories of being in there. I was so lucky to grow up with a love of books. It's just always been part of my life. I'd say the books that really rocked my world as a kid, Harriet the Spy, which I believe we share in common. Miriam K Stahl: We do, who hasn't walked around with our [crosstalk 00:06:29], right? Kate Schatz: Which showed me this tough, weird, cool little curious girl. Island of the Blue Dolphins was a really, really ... I read it a million times. You see, I gravitated towards stories about strong, adventurous, independent girls, which is what I wanted to be. Then the book series that really rocked my world was the Anastasia Krupnick books by Lois Lowry. It is literally where I first encountered the word feminist, so it was in one of those books. I would read those over and over and over. Those are some of my favorites. Lauren Schiller: What about you, Miriam? Miriam K Stahl: When I was about six, I got this book by Lynn Ward at a garage sale. It was a first edition and it was hand printed, and it was a couple hundred pages telling a story with just wood engravings. It was kind of an intense story about a artist selling his soul to the devil to become famous. It was this book that was all pictures, no words, and it just blew me away and I still have it. It's like my favorite book and I loved everything Maurice Sendak as a kid and I still do. Then when I was a little older in high school, James Baldwin's Another Country was my favorite book. Then I also discovered Audrienne Rich's poetry and I still love all of those books. Lauren Schiller: Well, I was thinking as you were talking about the book that was all pictures and no words and you're reading books that are mostly words and no pictures. That's like your whole life has been leading to this moment where you've been ... where you're collaborating. Writing the words and providing the illustrations. Kate Schatz: Oh, you're so nice. Miriam K Stahl: ... and the words bring you in. Lauren Schiller: So what role do you think illustration or heavy visuals play in bringing along a reluctant reader? I mean, you have your own experience having done that. Do you have any more thoughts on how that could work for other kids? Kate Schatz: Well, when I had the idea to do our first book, Rad American Women A to Z, I knew that I wanted to have a really strong visual component and I wanted the images to be really, really strong and bold and to kind of reflect, I think, the strength of the women that we write about. So our books tell stories about powerful, inspiring women from history and today. I didn't want them to be super cutesy. I wanted them to really reflect a kind of strength. But I also was thinking a lot about creating a book that young people and adults would enjoy. Kate Schatz: I think those of us who spend a lot of time reading to children, which I think is a lot of people in this room, know that there's some books that we're really excited to read a million times and there are some that we're like, "Really? This one again?" So I was thinking, as a parent of young children, I was thinking about creating a book that would visually and intellectually appeal to grownups as well as young people. And I knew Miriam's work, to me, had that aesthetic and would be able to draw someone in from a range of ages. Miriam K Stahl: Yeah. I think the way that we set up our book with an image, and then a quote that's bold, and then a longer format story gives many entry points to different age kids. A kid could have the same book and ... as like a three or four year old, just look at the picture and maybe identify letters and maybe read the quote. Then as they grow older, they'll be ... they'll go back and see the image that they loved and then read the story. I think images can pull kids in and that way too, at different, ages. Kate Schatz: I liked that you used the term reluctant readers. Actually, our first book was one of the ALA's picks for reluctant readers for the reason that it would ... can really draw in young people. I've seen kids kind of flipping through, looking at the pictures and they'll see something that catches their eye and then that will lead them to the text. That's always an exciting moment. Lauren Schiller: Well, that's another area I wanted to talk about, is about what catches your eye. One of the girls that you write about in your new book noticed that there was a stunning lack of diversity in the books that she was reading, Marley Dias. She decided to do something about it. Could you tell us a little bit about her? Kate Schatz: Yeah. So our new book is called Rad Girls Can, and it comes out in July, yay. Miriam K Stahl: July 17th. Kate Schatz: Yes. And that's a galley. The real book is hardcover and everything. But yeah, so we write about ... it's 50 stories of girls under age 20 who've done amazing things before they were 20. 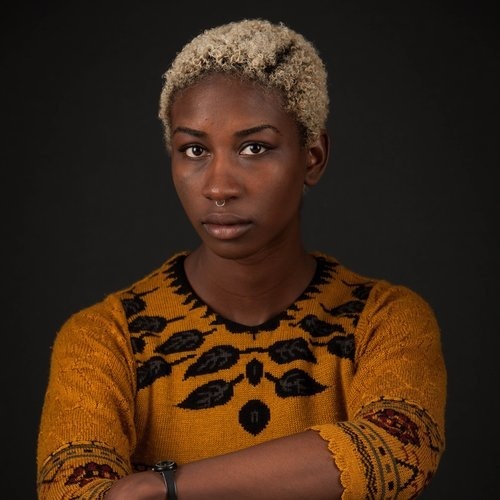 One of the girls we write about is Marley Dias, who when she was 11 years old she was an avid reader and she started thinking about how she wasn't seeing enough books about black girls like her, staring black girls, centering them as protagonists. So she started this online hashtag campaign, 1,000 Black Girl Books, and she started soliciting donations of books centering black girls and she received over 10,000 books, started a whole organization and she got a book deal. Her book actually just came out a few months ago and it's called Marley Dias gets it done. She's gone from being ... I know, she's amazing. Kate Schatz: I mean, she interviewed ... she's talked to Oprah, she interviewed Hillary Clinton. She's like 13 and amazing. Lauren Schiller: Can I have her number? Kate Schatz: Yeah, right. And it all came from her love of reading and her seeing ... loving reading but really seeing that she wasn't being reflected and really [inaudible 00:12:42] to reach out and find books like that. All those books that she received as donations, she's then donated out to schools and organizations. So we got to write about her. It was really fun. Lauren Schiller: Love that. You look like you wanted to say something. Miriam K Stahl: The picture I made of her also makes her look kind of like a superhero because she's holding many, many books in both hands. Miriam K Stahl: Totally made that up. That's how I imagine her, just like I have these books. I couldn't find them when I was little, and here they are now for all of you to check out. Lauren Schiller: Coming up after the break. Kate Schatz: My heart is sad. I would like to ask you to speak with the president and Congress in legalizing my parents because everyday I am scared that they will take them away from me. Lauren Schiller: Before we get back to the conversation, I want to turn you onto a podcast that I just love. It's called Reckonings, and it explores how people change their hearts and minds. Episodes have ranged from a deeply conservative congressmen who made a dramatic shift on climate change, to a white supremacist who transcended a life of hate and became a force for nonviolence, to two teenagers who managed to overcome bullying. In a time that feels so polarized, it's refreshing and hopeful to see people capable of such monumental, shall we say, reckonings. You can find Reckonings on your preferred podcast app and at www.reckonings.show. Lauren Schiller: I'm Lauren Schiller, and this is Inflection Point. Talking with Kate Schatz and Miriam Klein Stahl, authors of the new book Rad Girls Can. There's another great example in the book, which I would just ... I'm just going to connect the dots and say that it, for me, is ... tells me the role that literacy can play in social justice. Lauren Schiller: ... an amazing story. Kate Schatz: So in this new book, one of the things I wanted to play with in this book, among many things, is stories of varying length also because I think that's also a really good entry point for readers and for teachers is there are some stories that are about 700 words and are over two pages and then there's some that are just like a couple paragraphs. Kate Schatz: So this is a really short story about Sophie Cruz. She was born in Los Angeles in 2011, so really recently. All right, so five year old Sophie Cruz became one of America's youngest immigration rights activists when she delivered a powerful message to Pope Francis. During his visit to Washington DC in 2015, Sophie ran up to the Pope and gave him a letter that she'd written. It read quote, "My heart is sad. I would like to ask you to speak with the president and Congress in legalizing my parents because everyday I am scared that they will take them away from me." Sophie was born in America, but her parents weren't. They came from Oaxaca, Mexico, escaping violence and poverty. Because they weren't American citizens, they could be deported at any time. Kate Schatz: Sophie's bravery made an impact. The next morning, Pope Francis addressed Congress and he discussed immigration policy at length. He asked the congressmen to treat immigrants with the same compassion with which we would want to be treated. Soon after that, Sophia was invited to the White House where she got to meet President Obama. In January 2017, Sophie was the youngest person to speak at the women's march in Washington DC. In both English and Spanish, she told the massive crowd quote, "Let us fight with love, faith, and courage so that our families will not be destroyed." Kate Schatz: So now Sophie's seven, so much older now. Miriam K Stahl: She's retiring. Kate Schatz: But no, she's still [crosstalk 00:17:28] on the book deal, but I've been able to be in touch with folks who have worked ... we work with her and her family and she's still active. Lauren Schiller: It's amazing. I mean, I don't know if anyone still has chills, but that gave me chills. Miriam K Stahl: There's just a big mural that went up of her in San Jose. Lauren Schiller: So this book Rad Girls Can, has a title, I would say, is biased toward action. Was that your intention? Lauren Schiller: So what role do you see in books for inspiring activism and creating change? Kate Schatz: Oh, I mean, that's ... So yeah, I mean, the focus of this book really is action. In writing a book about young people, where our other books are about more historical figures, whose stories are kind of written, though many of the figures we write about in our other books are still alive, their biography and their story is relatively complete. With this book, we were writing about five ... literal five year old. So it was a different task in creating these stories. It wasn't about ... as much about who they are and their whole biography, but what they've done, an action that they took. Kate Schatz: So we wanted this book to be really focused on that one thing that a person did. One idea, one action, one way that they saw something in the world that they wanted to change, something that they really love to do, something they believed in and then the action that they took to make that happen. Some people in the book, it's one small thing and some people, it's a huge thing. That's what I hope translates to readers, is the idea that you can have one thing that you really care about. Then how are you going to make that happen? What can you do with it? What is the thing that you can do in your life to kind of make that dream become reality? Kate Schatz: Now they all have Angela Davis on their wall. Miriam K Stahl: I mean, I think not only posters on their walls, but we're seeing great student movements happening right now at the ... I mean, obviously Parkland was very inspiring around gun violence, but also dreamers really stepping up and talking about immigration and so Kate and I just feel like this book is coming out at exactly the right time when kids do feel activated and feel like their voice ... they're ready to step up and put their voice out there, and they're doing it. We're learning a lot from the youth. Lauren Schiller: I'm Lauren Schiller. I hope you enjoyed this special on-stage discussion with the authors of Rad Girls Can, Miriam Klein Stahl and Kate Schatz. Their book comes out July 17th. If you want to help elementary schools with one-on-one reading support, consider becoming a volunteer or donating to Reading Partners, a national nonprofit that helps students with the one-on-one tutoring they need to read at grade level by fourth grade. I'll leave links to Rad Girls Can and Reading Partners in the show notes at inflectionpointradio.org. While you're clicking around, don't forget to subscribe to Inflection Point on Apple Podcasts, Stitcher, Radio Public, all of them, to get more stories in your feed about how women rise up. This is Inflection Point. I'm Lauren Schiller. Lauren Schiller: That's our Inflection Point for today. All of our episodes are on Apple Podcasts, Radio Public, Stitcher, and NPR One. Give us a five-star review and subscribe to the podcast. Know a woman with a great rising up story? Let us know at inflectionpointradio.org. While you're there, I invite you to support Inflection Point with a monthly or one-time contribution. Your support keeps women's stories front and center. Just go to inflectionpointradio.org. We're on Facebook at Inflection Point Radio. Follow us and follow me on Twitter at LaSchiller. To find out more about the guests you heard today and to sign up for our email newsletter, you know where to go, inflectionpointradio.org. Inflection Point is produced in partnership with KALW 91.7 FM in San Francisco and PRX. Our story editor and content manager is Alaura Weaver. Our engineer and producer is Eric Wayne. I'm your host, Lauren Schiller. Speaker 4: Support for this podcast comes from the Corporation for Public Broadcasting. Do haters deserve our compassion? Sally Kohn, Author of "The Opposite of Hate"
Can you find compassion in your heart for the haters in your life? CNN political commentator and first-time author Sally Kohn says if we keep on hating the haters, the cycle of hate will never end. She’s believes compassion to be one of the keys to breaking the cycle of hatred that pervades our culture in today’s divisive world. The question is, how can compassion defeat a system fueled by hate? 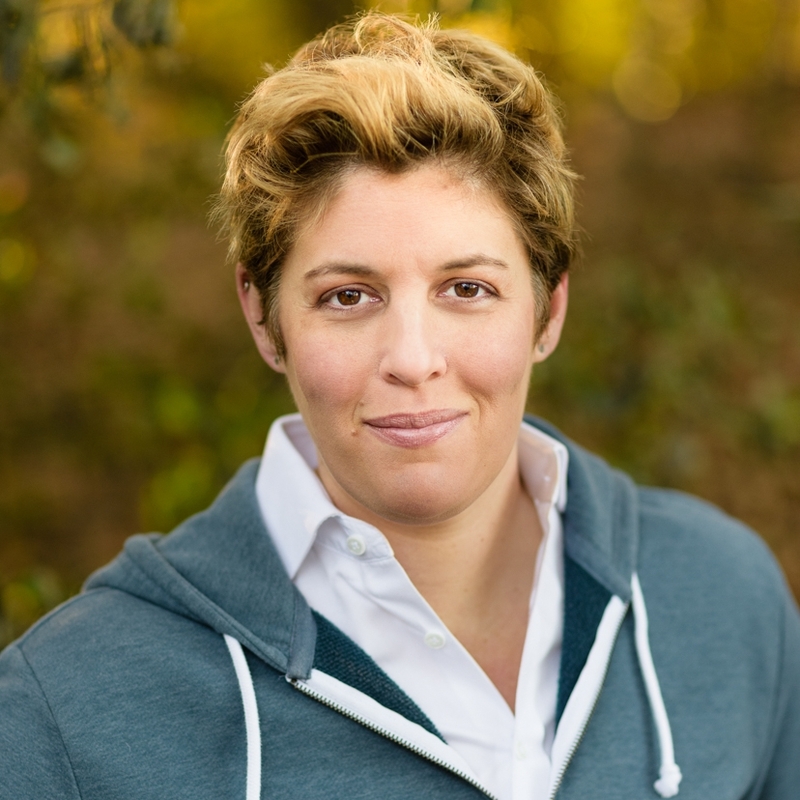 Listen in on my conversation with Sally Kohn, author of “The Opposite of Hate” on what she’s learned from her own missteps as a former school bully and, paradoxically, as a well-meaning liberal, breaking the cycle of hate, and cultivating compassion for her perceived enemies.